Originally, Super Silver Haze was created by using genetics of Skunk, NL, and Haze. 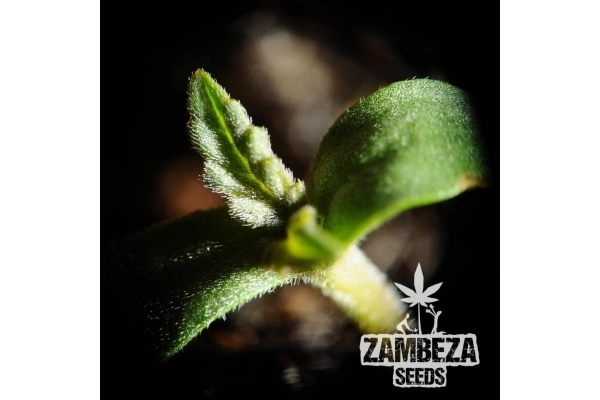 Zambeza Seeds decided to create an autoflowering version that preserves the much appreciated characteristics of the original Super Silver Haze. One drawback of growing SSH was always the longer flowering period. This issue was resolved by introducing the necessary amount of Ruderalis genetics to this hybrid. Super Silver Haze Autoflowering can be harvested after a life cycle of 70-85 days. Indoor growers can count on plants being 80-110cm tall, and yields of up to 250-300g/m². Outdoor growers will cultivate plants that reach heights of 110-150cm, and yield 120-170g per plant. The quality of these Haze buds is very high: THC levels of 17%! Super Silver Haze is one of those varieties where smokers think twice about the amount of bud they put in their grinders. Often times, the smallest bud can be sufficient to reach the desired effect. The high is mentally uplifting, helping many smokers to be creative and happy in multiple ways. 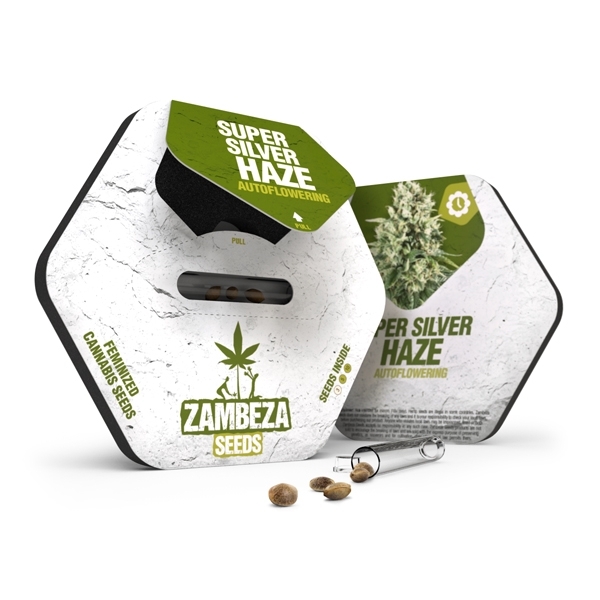 The flavours of Super Silver Haze Autoflowering can be described as a light and pleasant blend of sweet and spicy aromas, with a refreshing hint of citrus. It’s definitely a very smooth and delightful smoke. Super Silver Haze Autoflowering is a strain for growers who want it all, preferably as fast as possible. Only moderate levels of patience are needed due to the relatively short life cycle and potency is where it needs to be. The autoflowering version of Super Silver Haze is also suitable for expert growers and novice growers with experience. There is no need to spend money on expensive weed, when you can grow your own, much more cost-efficient, and in a relatively short amount of time.